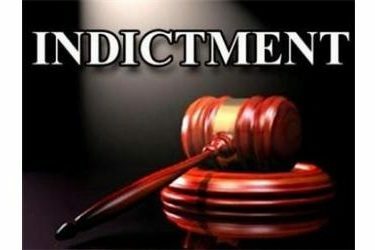 TULSA, Okla. (AP) – A federal grand jury has indicted a Missouri man accused of having a pipe bomb at an apartment in northeastern Oklahoma. Prosecutors said Monday that 36-year-old Richard C. Cole of Joplin, Missouri, was indicted by a grand jury in Tulsa with possession of an unregistered destructive device. Authorities say Delaware County sheriff’s deputies were called to Cole’s apartment in Afton after the landlord discovered a suspected improvised explosive device. The Oklahoma Highway Patrol Bomb Squad discovered two 1-pound canisters containing “mixed Tannerite,” a type of binary explosive, two boxes of ammunition and a pipe bomb in an ammunition container. The explosive device was rendered safe and nobody was injured. Cole’s attorney, William Patrick Widell Jr. of the Federal Public Defender’s Office, did not immediately return a telephone call seeking comment.